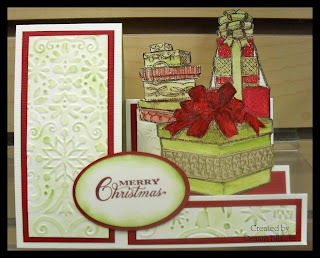 Here are two more samples from my "All Wrapped Up" card class. The theme for this class is presents!!! I wanted to teach a bunch of different techniques in this class, embossing, inking, watercolor pencils, glitter, etc. 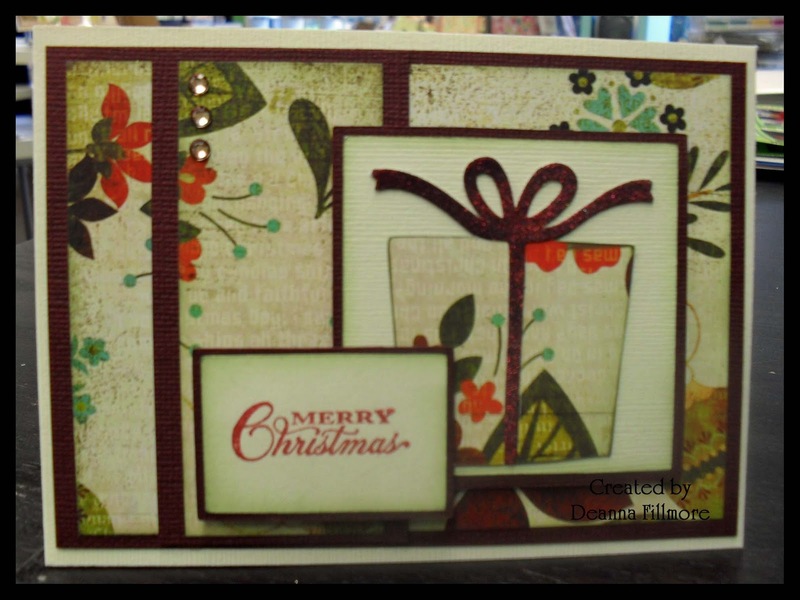 This first sample is a side step card and I colored the presents with water color pencils, glitter pen, glaze pen and even did a bit of paper piecing. You can't really see the glitter pen in the picture but there is lots of it on the 2 piles of presents in the back. I colored over the red bow with the glaze pen. I used bazzill card stock red and french vanilla. I used peeled paint distress ink on the embossed panels. 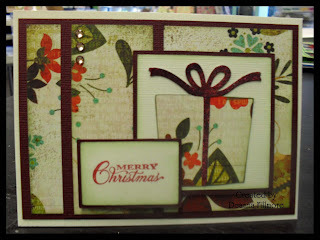 The present stamps are from the "All Wrapped Up" stamp set by Flourishes and the greeting stamp is from Bombshell stamps. 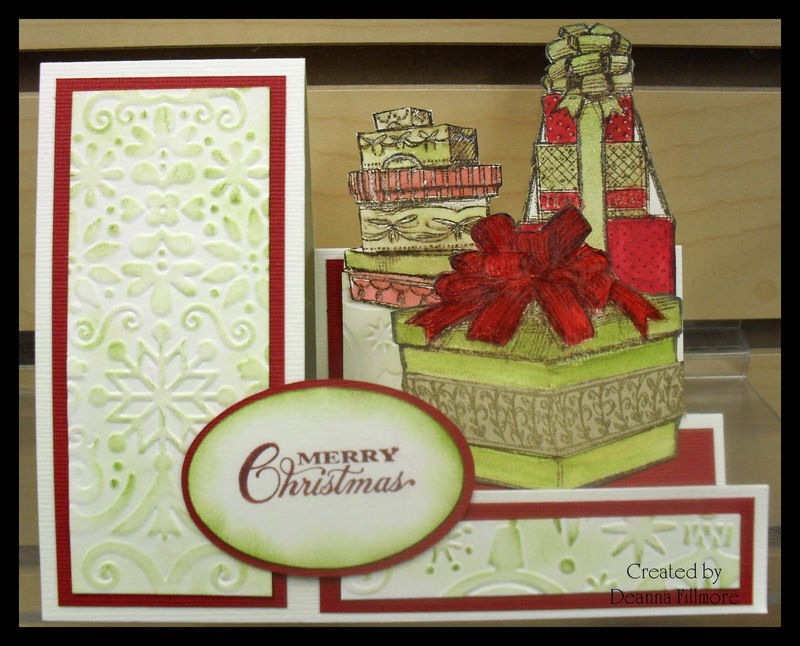 The next card is done with paper from the new Basic Grey Christmas line Jovial. The present is cut out using cricut cartridge "Stretch Your Imagination" and I used merlot glitter ritz glitter for the ribbon and bow. The bling was clear and I used a prisma color marker to add some color to it. Although you can't see it the square with the present on it is popped up using 3d dots and then the block with the greeting is popped up from there as well. Well that's it for today, I hope to have something more to post tomorrow.